« If Medical Marijuana Businesses Are Legalized In Oklahoma What Clauses Should Your Lease Include? 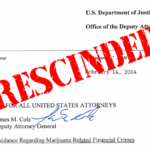 Attorney General Jeff Sessions today issued a Memo that rescinds the 2013 Cole Memo regarding federal enforcement in states that legalized cannabis. 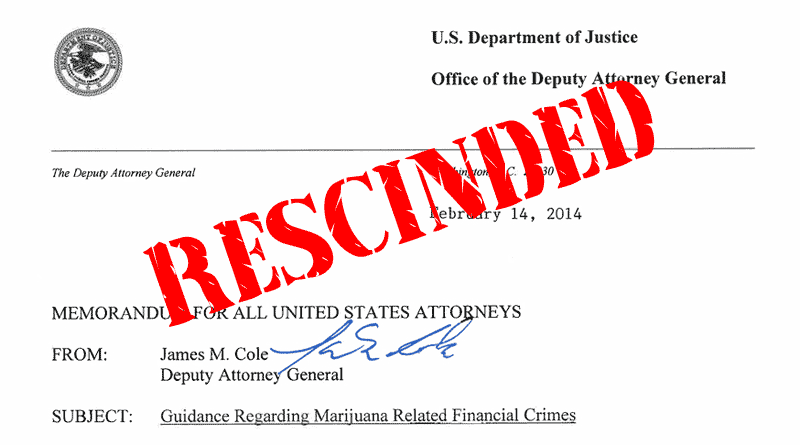 It is not immediately clear how the Justice Department’s new approach will affect the Rohrabacher-Blumenauer budget amendment that prohibits the use of federal money to interfere with state-authorized medical marijuana use. That budget rider remains in effect until January 19, 2018, when the current continuing resolution that maintains present federal spending levels and priorities comes up for renewal. If the Rohrabacher amendment is not added to the next spending bill, all Federal cannabis protections that were put in place over the past few years will be undone and the Department of Justice will have a green light to start prosecutions in the many states that have legalized cannabis in some form. Also to be considered is a 2016 ruling from the 9th U.S. Circuit Court of Appeals interpreting the Rohrabacher-Blumenauer amendment and finding that it bars federal prosecutors in the nine Western states that are part of the 9th Circuit from proceeding with criminal cases against medical marijuana sellers complying with state law (Oklahoma is in the 10th U.S. Circuit). The Justice Department will abide by that ruling in the 9th Circuit states, but might bring new enforcement cases in other states not covered by the decision. This entry was posted on Thursday, January 4th, 2018 at 6:13 pm	and is filed under Legislation & Case Notes. You can follow any responses to this entry through the RSS 2.0 feed. Both comments and pings are currently closed.